Books & teaching methods - De website van timvanroy! Up until now I have released two different teaching methods, both in vastly different fields. Both are sold by my publisher DMP. To order, please click on the pictures below and you will be sent to the website of DMP. There you can order the books online. The books are availably in English and Dutch, and other languages are in the pipeline! This is a method to teach you how to read sheet music. Tab is very useful, but to communicate with other instruments, you need a basic understanding of sheet music. We start from the very beginning, explaining you what the open strings are called and what they look like on the staff. 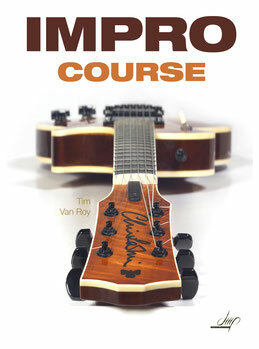 By the end of the book, you will be able to read rhythms, find your own basic fingerings and you will know the position of every single note up to the 7th fret. For this method we do recommend you employ a teacher! Improvising can seem impossible at first. Especially when you look around on Youtube, where everyone seems to be flying up and down the neck. In ImproCourse we try to make things a simple as possible, while still giving you an overview of all the different pentatonic shapes. Exercises and patterns are provided for every scale shape. Licks have been kept playable and simple so guitarists of every level can get started with this material. 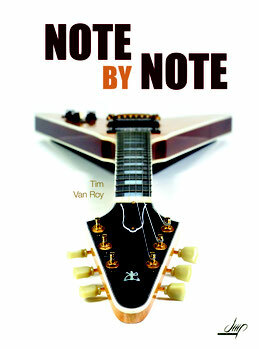 This book comes with a cd, filled with the licks and excersises featured in the book.